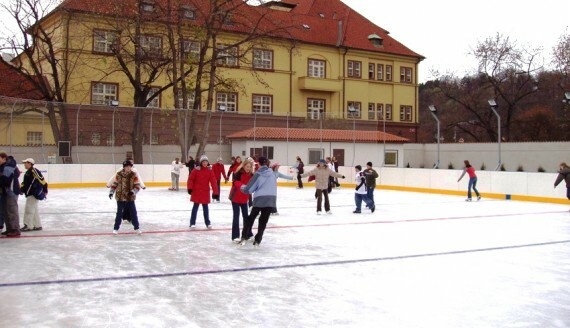 So I’ve searched all possible places for Ice-Skating in Prague. If you know about a place that I didn’t list, please let us know and we will add it. I even called a few places to make sure they are open to the public as the info on their webpages was confusing. My boys learnt to skate last year and I bought them small ice-hockey sticks. My Mom came up with a brilliant idea - she took an old stroller and let Nikki skate with it, it supported him before he was ready to let go and saved him some injuries. Have fun and let us know how it went :-). It’s never too late to learn how to ice skate and it’s certainly an activity to keep the young ones healthy and entertained. Outdoor Ice-rink, smack in the middle of the historical town. Skating is for free if you have your own skates. Otherwise, you can just hire a pair. The cost is 50 CZK per pair, per hour and you will need to provide your ID card or passport as proof of identity. If you do not have any of these documents, then you may still hire a pair of skates by providing a fully-refundable deposit of 600 CZK. 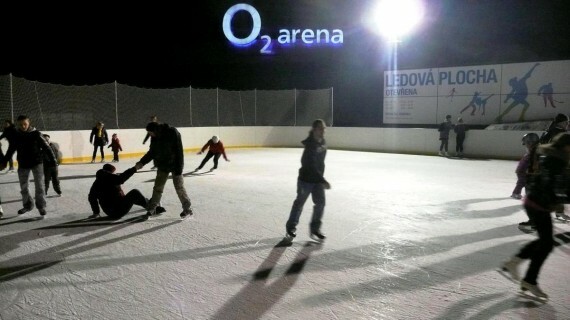 Outdoor Ice-rink during the winter months. This used to be a big indoor Ice-rink but it was demolished in 2011. 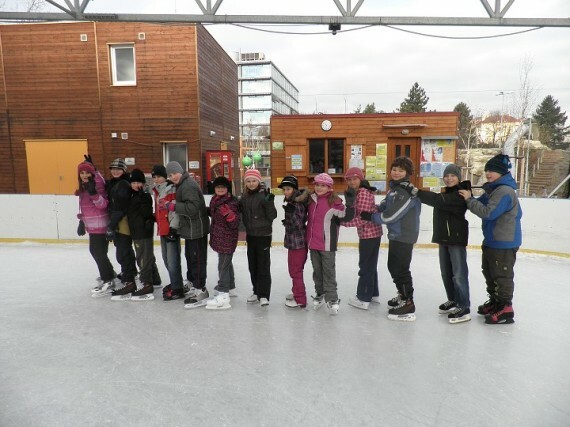 Therefore they have just an outdoor Ice-rink in the winter months open till mid-March. If the weather allows, it might be prolonged. 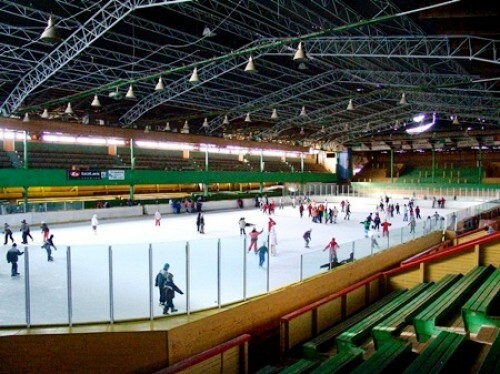 Letnany Ice Arena, Prague 9: Open all year round Indoor Ice-rink. They usually let the public skate on: Mon, Thur: 10-00-12:00; Sat: 10:00-12:00; 14:00-15:45; 20:00-22:00; Sun: 10:00-12:00; 13:45-15:30. Due to matches the times may vary a bit, you can always check latest schedule on: http://www.icearena.cz/?t=brusleni (only in Czech) You have to reserve skate rental beforehand on: 286 920 040, except weekends. Outdoor Ice-rink on the roof of the mall. Open every day: 15:00–18:30, weekends 13:00–18:30. Fridays and Saturdays they have evening Ice-Skating 19:30–22:00. They rent Ice-Skates here. Indoor Ice-rink. It is better to check the table of public skating. You will find it here: http://www.hokejhvezda.cz/?page_id=418 (only in Czech) Usually they do Sat and Sun afternoons. They do rent skates here. Indoor Ice-rink. Public skating on weekends, Sat: 13:15 - 15:15, Sun: 12:30 - 14:30. They do rent skates here and they have a restaurant within the premises. Indoor Ice-rink. They rent skates on this number: 775 558 518, Mr. Irlbek. Sat – Sun: 14:00 -16:00 It looks rather rough from the outside, dont be put off - the rink is modern and nice. They do have special hours for school, parents with small kids and seniors. Clever. Every day 8:00 - 12:30. Perfect if you dont want you kid to be run over by fast skaters. Open: 19.1.2013 – 4.3.2013 on Mon – Sun: 9:00-12:00, 13:00-16:00, 17:00-21:00. 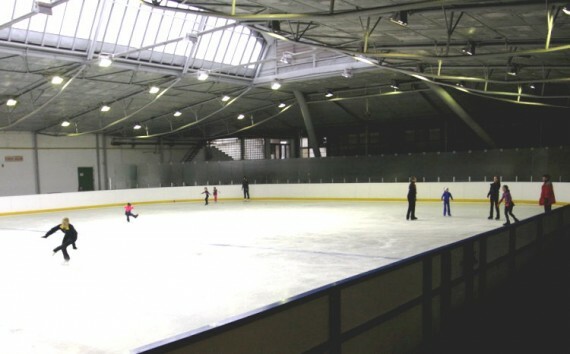 Indoor Ice-rink, they rent skates here and organise many events on the Ice-rink for kids. We suggest to follow their program on the web to see what is coming up. They perform fairytale theme Ice-skating shows as well as Kids shows. NATURAL OUTDOOR SKATING on lakes or the banks of the river Vltava - only open if the ice is 18cm or thicker, which is usually after long spells of frost. 1. Prague 4, Krc Krcske rybniky (Krc Lake District). 2. Prague 4, Kunratice, Lake Seberak. 3. Prague 4, Podoli - Podolsky pristav na Vltave. 4. Prague 6, Divoka Sarka, Na Dzbanu - (Lake Dzban). 5. Prague 10, K Jezeru - Hostivarska prehrada (Dam Hostivar). 6. Prague 10: Zabehlice - Hamersky rybnik (Hamersky Lake). 7. 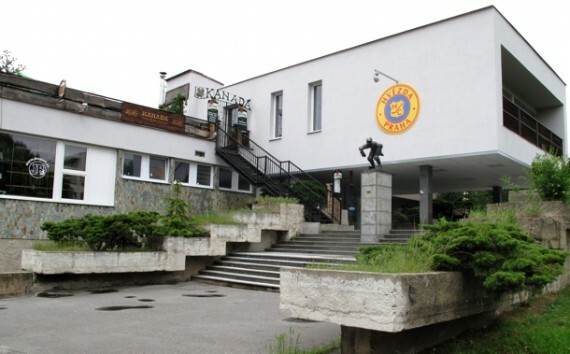 Prague - Pruhonice, Ujezd u Pruhonice: Milicovsky rybnik.